Epilepsy is the third most common neurological disorder, following Alzheimer's and strokes. Its connection to cannabis began as early as 1800 B.C.E., where there was strong evidence from Sumerian and Akkadian clay tablets suggesting cannabis to treat seizures. In the 10th century, Persian physician Ali ibn al-'Abbas al-Majusi prescribed hemp leaf juice snorted through the nose to treat epilepsy. Then, in 1890, Sir John Russell Reynolds, Queen Victoria’s physician, recommended cannabis for a variety of medical issues including epilepsy. In more recent times, cannabis has returned as a possible treatment for epilepsy thanks to parents who have turned to the plant after anti-epileptic drugs failed to help. Take the highly publicized case of Charlotte Figi, a little girl with a rare, severe form of epilepsy called Dravet Syndrome, who suffered from hundreds of seizures, escalating to 300 grand mal seizures a week. Over the course of her young life, Charlotte’s heart had stopped numerous times. Her parents were hopeless until they tried cannabis. Using a high-CBD strain, Charlotte’s mother made an oil, feeding it to Charlotte with her meals. Her seizures soon stopped. This important breakthrough provided further evidence that cannabis can be used as a viable medicine for epilepsy. Epilepsy is defined as a neurological condition that affects the nervous system, notably characterized by seizures. According to the Epilepsy Foundation, there are 65 million people in the world with epilepsy, and 3.4 million in the United States. 1 in 26 people in the United States will develop epilepsy at some point in their lifetime. There are three major groups of epileptic seizures. Generalized onset seizures, which affect both sides of the brain and include seizure types like tonic-clonic, absence, or atonic. Focal onset seizures can start in one area of the brain and include focal onset aware seizures and focal onset impaired awareness. Lastly, there are unknown onset seizures, which is when the beginning of a seizure is not known. 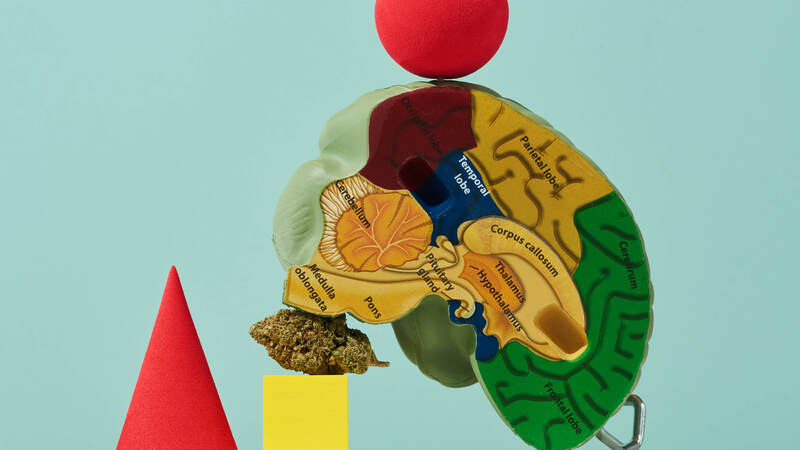 “When thinking about epilepsy, it's helpful to think of the brain normally being in relative balance between excitation and inhibition,” Dr. Joshua Kaplan, Ph.D., neuroscientist and cannabis expert, explains. “This excitatory/inhibitory balance is maintained by brain cells that release chemicals that either excite other brain cells or inhibit them. In epilepsy, that balance tips towards excessive excitation, causing seizures. Generally, cannabis helps those with epilepsy by restoring the brain's excitatory/inhibitory balance.” Kaplan notes that some forms of epilepsy, such as Charlotte’s, are resistant to treatment due to a reduction in brain inhibition, and CBD helps restore this inhibition. We know that CBD helped Charlotte’s seizures, but does THC have any benefits? Kaplan says that THC and CBD act on different mechanisms in the brain, so even though they come from the same plant, that doesn't mean they'll have the same effects. “You wouldn't use THC to treat epilepsy for the same reason that you wouldn't use an antipsychotic for treating anxiety,” he said, adding that “THC can reduce seizures because it reduces brain excitation, but doesn't increase inhibition—however, one of the challenges with using THC is that it can induce tolerance, which overall would be bad for the treatment of epilepsy.” Kaplan says if you’re going to use a product with both THC and CBD, “you should err on the side of it being CBD-rich for the treatment of efficacy. But to-date, the clinical trials have been conducted using Epidolex, which is a 98% CBD extract." When it comes to how often one should dose, clinical studies show that around two to three times per day is an effective dosing frequency. Children with epilepsy are consuming large doses, “reaching up to 20mg/kg per day a few weeks into their treatment, which, for a 40-pound child is about 360mg of CBD per day, and this is obviously much higher in adults,” Kaplan says, noting that the effective dose of CBD would be much higher than treating a different disorder such as anxiety. “This reflects the different targets in the brain by which CBD is acting upon to treat epilepsy versus other conditions."